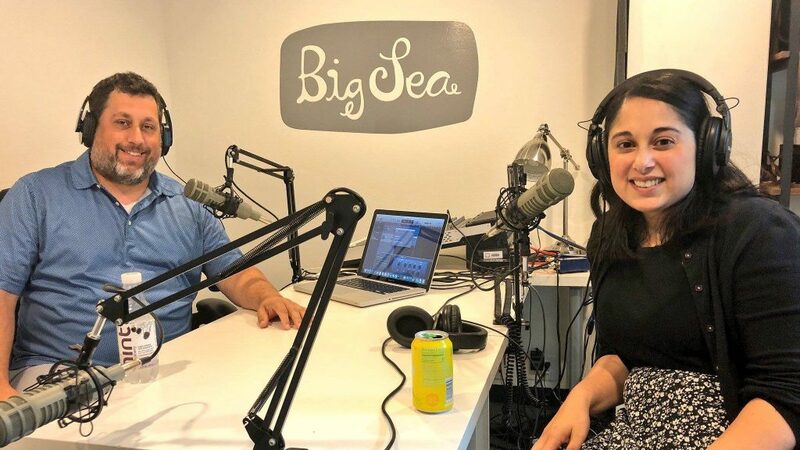 On this episode of SPx, Lakshmi Shenoy joins Joe Hamilton to talk building Tampa Bay's very own "central landing zone" for tech entrepreneurs - Embarc Collective. 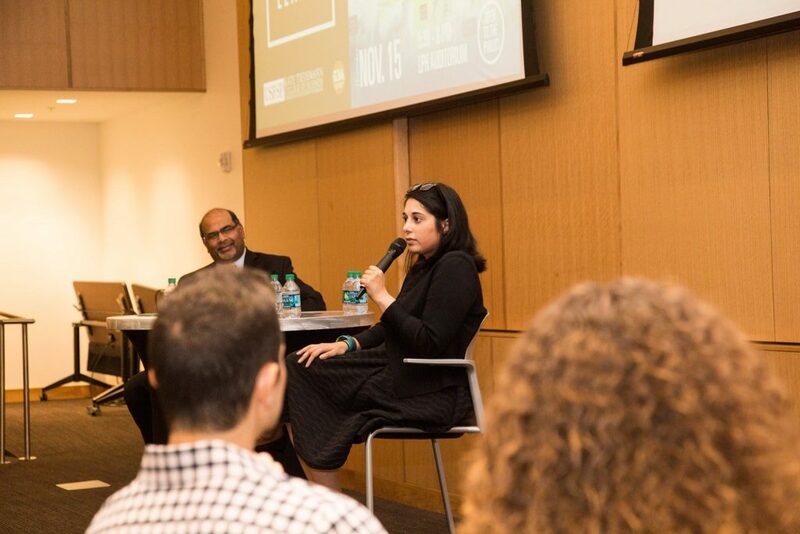 A veteran of Chicago's 1871, Shenoy shares her thoughts on the burgeoning entrepreneurial scene in Tampa Bay, and lessons learned thus far as CEO at the helm of a startup supporting startups. Shenoy explains the importance of collective storytelling and creating a dense, physical entrepreneurship hub to attract the right talent to support scaling the startup community. She talks essential leadership qualities for startup CEOs, feedback, and gives a shoutout to one of her favorite startups in Tampa Bay. Today's guest: Lakshmi Shenoy, chief executive officer of Embarc Collective. 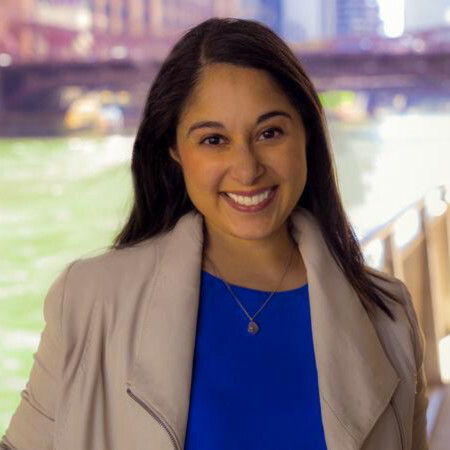 Shenoy was recruited by Jeff Vinik and brings extensive experience from Chicago's entrepreneurial hub, 1871. According to Shenoy, the 140,000 square foot 1871 is, "the central landing zone for the technology startup community in Chicago." It features 500 early-stage tech startups, eight venture funds, seven affiliated universities, and more than 1000 public events each year. On meeting Jeff Vinik: "Jeff Vinik said, 'Hey, I’m gonna come and visit Chicago.' I ended up touring him around the space of 1871, because he was on a tour of the country looking at different models for sparking innovation, sparking innovative talents in the region." A few years later, Vinik proposed that Shenoy move down to Tampa Bay to start an 1871-style incubator here. "I took the trip down here to just see what this is about, and that was what really sold me on this region, and on the opportunity was meeting people who are here; feeling the energy that's here; seeing all of the transformation that's about to happen in this area." On Embarc Collective: "It's about the collective. We’re really choiceful in the name. It's not about a single organization. 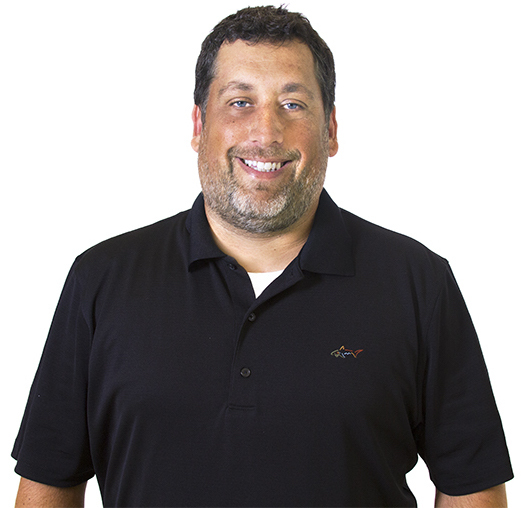 It is about the startups, the founders that are building in the Tampa Bay area and the partners who are around this area to support their growth." Despite a large swath of corporate and startup experience, Embarc Collective has presented its own unique learning curves for Shenoy: "What I've learned, transitioning into this role as CEO of Embarc Collective is that CEO is not Chief Executive Officer when you’re a startup; it is Chief Everything Officer. So, I care about every aspect of this organization, and I have to be proficient in every aspect of building this organization." "I come into this role with a tremendous amount of humility. I'm learning every day. I joke about myself is the starter CEO. I’m figuring it out as I go, but luckily am a fast learner." Shenoy's biggest challenge? "Learning how to leverage every person on your team so that you can actually do more because you're doing a little bit less." On hiring: "I always knew that hiring was hard, and I didn’t realize just how hard it was until I was building a team that started with the one person – myself, and then growing to a team of about 12 people by the time we launched Embarc Collective." On the speed of the Tampa Bay entrepreneurial community: "There is an excitement around what we’re doing as a community that people are gung-ho to get involved into move at the speed that we need to get into." Embarc Collective is in a unique position, as a startup supporting startups, "It's my job to be able to explain it, and get people excited and share with people how they can get engaged as we get going." The operational vision of Embarc Collective: coaching, curriculum, space. "V1 of Embarc Collective, is the physical hub. The goal of the hub is to serve in that place making role for Tampa Bay and its startup community." "You don’t have to be at Embarc Collective to be able to leverage the resources. So, there’ll be different types of ways that startups can engage, but ultimately, we want to be a resource." "what would happen if we created a microcosm of that entrepreneurial community that is active, that dense, that is vibrant, that's full of energy so that somebody who’s considering Tampa Bay can actually come down and say, 'Hey, there’s a lot happening here.'" Talent: "By creating a physical hub, what you're doing is you're creating that visual density of opportunity that can help us as we look to retain great talent in this area because they have really amazing and fulfilling jobs that they can take advantage of or attract great people to this area." Importance of story telling: "We’ve gotta share our story. So, we can leverage the asset of Embarc Collective to help put Tampa Bay on the map so then we can really work to attract the best talent to this area as well." "We’re industry agnostic; we’ll have some programming through partnerships that focus in on industries that are of particular strengths to this area, but by and large we’re industry agnostic." "A great founder in Chicago once said to a group and I was in the room, 'I’m not in love with the solution, I’m just in love with the problem that I'm solving.' And that, to me, is the signal of somebody who has the right passion and drive, and the right iterative mentality knowing that the solution that they’re building is always the prior version." "Feedback is not a criticism. Feedback is given because we want to progress your business. We are aligned with you. We want to see that forward direction." "You’ve gotta create an organization that has the structure to empower your employees to be able to make decisions that are aligned with what you would've decided." "My natural tendency is to be a builder. To be on the ground floor of that building [of Embarc] and be a part of it all was so compelling - and that's why I said yes." "We are creating an understanding for the community on where to go to get plugged in. So, it's no longer that yet to be asked to come to the table. You know where the table is and you can just pull up a chair." Joe: On this edition of SPX, we have Lakshmi Shenoy from Embarc Collective. Welcome. Lakshmi: Thanks for having me. Joe: So, you moved down here, what, six months and two weeks now. Lakshmi: I’ve survived half of a Tampa Bay summer, so I’m doing okay. Joe: It’s been alright; hasn’t been too bad. I went swimming a couple nights ago, it actually cold and it was August. Joe: So, I’d love to talk about – you were at 1871 up in Chicago. Let’s just start with the nuts and bolts of how you found out about the opportunity down here and the interview process. What it was like, and ultimately the offer and why you decided to accept. Lakshmi: Absolutely. So, 1871, just to give a little bit of context, that’s the year of the Chicago Fire, and the physical place of 1871 is 140,000 square-foot facility in downtown Chicago. That is the central landing zone for the technology startup community in Chicago. So, 1871 itself is the home to 500 early-stage technology startups. About eight venture funds that are headquartered there; seven universities that have a physical presence there and are engaging their faculty and their students with the activities of 1871. There’s a tremendous amount of programming for the resident’s startups, and there is about a thousand events for the public a year hosted at 1871 around the topic of entrepreneurship, technology and innovation. And that’s really where 1871 really gets that street credit of being that central landing zone for tech startups and conversations around them. And so, it sounds like a lot, it is a lot. There is about 2,000 people a day that come through that space. Lakshmi: There is a buzz of activity that’s happening there, and it’s a really exciting place to be. And it was such a great place for me to spend four years of my career, and as part of my role at 1871, I was the Vice President of Strategy and Business Development there and I got to meet a lot of really great people. When Jeff Vinik said, “Hey, I’m gonna come and visit Chicago.” I ended up touring him around the space of 1871, because he was on a tour of the country looking at different models for sparking innovation, sparking innovative talents in the region. That idea of having this physical hub that centrals zone for startup activity is just one of many different types of models that he saw around the country. Fast forward, a couple of years after we met. He asked me if I’d consider doing something similar to what is in 1871 for the Tampa Bay region because there’s a lot of opportunity with creating that place for the Tampa Bay region around the startup community. I originally was thinking, “I don’t know. It’s a new place.” I’m from Chicago. I’m happy to be in Chicago but I took the trip down here to just see what this is about, and that was what really sold me on this region, and on the opportunity was meeting people who are here; feeling the energy that’s here; seeing all of the transformation that’s about to happen in this area. It was really exciting. My natural tendency is to be a builder. So, to be on the ground floor of that building and be a part of it all was so compelling and that’s why I said yes. Joe: With so many moving parts in 1871, what’s the management structure there? Obviously, I’m assuming the funds have their own space and they just operate, sort of, autonomously. And then there is one sort of the central management that runs all the events and all the programs? Lakshmi: Yes. I would say yes to all of it. 1871 is, in my opinion, is good as the residents and the partners that are part of everything. So, while 1871 has its own curriculum, mentors, workshops, it’s all produced by members of the community who are subject matter experts in those fields. Lakshmi: The reason why the 1871 stage has become that go-to place in Chicago is because it’s the stage for so many organizations from around the Chicago community, and that’s the same type of vision that we’ve got for Embarc Collective it’s about the collective. We’re really choiceful in the name. It’s not about a single organization. It is about the startups, the founders that are building in the Tampa Bay area and the partners who are around this area to support their growth. Joe: The revenue comes from services. They don’t take equity positions in the companies. New Embarc Collective follow that same…it’s a services entity. Lakshmi: That’s correct. It’s setup as not-for-profit. So, both organizations. 1871 is a not-for-profit organization and so there’s partnerships that allow the fees from the startups to be really, really nominal. That’s the same goal that we have down here for Embarc Collective. Joe: Cool. How much contact did you stay in with Jeff between the time you gave him the tour to the time you ended it? Was there a gap or were you communicating? Lakshmi: Yeah, there was definitely a gap, but you don’t forget Jeff Vinik. Joe: Obviously, he didn’t forget you either. Joe: That’s cool. So, you came out of HBS, and then took some corporate positions, and then moved to Embarc, and then coming down here as the CEO. Now, you’re running. Obviously, Jeff’s involved, but it’s your baby. So, how’s that transition been from being, sort of, in a role to everything flowing out of you? Lakshmi: So, I graduated from business school eight years ago. During that time, I had the opportunity to work at large corporations. I was at Time Incorporated doing corporate strategy for their leadership team and then I did strategy consulting when I moved from New York to Chicago and working for large organizations again. The opportunity to move to 1871 was really fulfilling for me because I’ve realized that what drives me forward, what excites me is really about helping new ventures grow. What I find is that there are small things that you can do that make tremendous impact on someone. You just have to be creative and mindful of their needs. Lakshmi: And if you figure out, “Okay, here are all the tools in my toolbox. How can I leverage those to help other people?” That’s what’s fulfilling to me, and in the role at 1871, I worked directly for the CEO, Howard Tullman who is amazing, and he’s a great inspiration in terms of somebody who is larger-than-life and takes on new opportunities every day and is constantly evolving in organizations. So, it was a fast-paced environment for me to be in. And I also just got a lot of perspective from him, and I got to see all of the inner workings of the organization because I was with him as we built. But that being said, I didn’t manage every single function of the 1871 organization, there is a tremendous team of about 30 people there that are making the operations happen, making sure that all of the member needs whether it’s from the smallest to the biggest needs are taken cared; working with anybody is providing programming, taking care of events, all of those functions were being taken care of by other members of the staff. What I’ve learned, transitioning into this role as CEO of Embarc Collective is that CEO is not Chief Executive Officer when you’re a startup; it is Chief Everything Officer. So, I care about every aspect of this organization, and I have to be proficient in every aspect of building this organization. That means I’m always learning. There are things that I wasn’t exposed to, things like board management or things like making sure that my finances are always up-to-date and the things that I am familiar with – the creation of partnerships. Those are all coming together in this role for me, but I come into this role with a tremendous amount of humility. I’m learning every day. I joke about myself is the starter CEO. I’m figuring it out as I go, but luckily am a fast learner. And that this is fun; that’s the other thing is I actually like doing all of this work, and like being involved in all these different details. I think it works to all of my various curiosities. So, it’s going well so far. Joe: Which areas do you find the most challenging to fall into existing with those duties or those responsibilities or those decisions that you have to make? Lakshmi: I think it’s about learning how to leverage. I have a small but growing team and so learning how to leverage every person on your team so that you can actually do more because you’re doing a little bit less. The challenge in that is finding the right people to be on your team and I always knew that hiring was hard, and I didn’t realize just how hard it was until I was building a team that started with the one person – myself, and then growing to a team of about 12 people by the time we launched Embarc Collective. To find great fits, it takes a lot of time and a lot of thoughtfulness. The good thing is that folks on the team, so far, it’s a very small group are tremendous. I feel so lucky to have them on the team because they are just as passionate about the mission, and they’re bringing to the table just an amazing skill set that is not just beneficial to Embarc Collective and to our day-to-day but is beneficial to the community as a whole. And so, I feel incredibly lucky to be building that kind of roster. Joe: The people and talent is certainly a big challenge for the area in general. And I think that also, because of that, more neophytes are in the whole what 1871 is in Chicago with all infrastructure and all that talent, the school’s feeding it. I’m calling it, “change in speed,” I guess, to come down here and to insert. Have you felt, seeing the mechanism and the speed and the ferocity of 1871 to come down here, and I have to assume handhold a lot of people and organizations into breaking out of their entrenched sort of ways of doing things and then embracing new perspectives and things like. How can that not be a challenge? Lakshmi: I don’t know if I fully agree. I think I always spent a lot of my time working with startups, and startups no matter where you are, have to go fast. If you don’t go fast, you’re gonna die. I haven’t noticed because I’m setting my course and going forward. And because I’m working with entrepreneurs who are like-minded in that notion of speed is the most important thing right now. I haven’t felt like I’m in a slow-paced environment at all. Joe: I mean, the startups themselves are, but what about the infrastructure around the startups, the community in general? Do you feel the mechanisms for fundraising and for supporting startups, and launching them, you feel pretty good about where that’s at? Lakshmi: I’m only six months in. I think my perspective has to be taken with a grain of salt, but I think that there is an excitement around what we’re doing as a community that people are gung ho to get involved into move at the speed that we need to get into. We should revisit the question in a year, I’ll have more perspective by then. But I think right now I’m taking advantage of the momentum. Joe: One of the big changes in coming down here, obviously Vinik is a huge name and everybody pays attention to him and you are committed to run his new initiative in Embarc Collective. Were you surprised by how much of a celebrity status you would have, the demands on your time for interviews and sort of playing that role? When you came down here, did you expected to be as active? Lakshmi: As CEO of the organization, part of my job, whether I wanna do it or not, is that I’m a spokesperson for the organization, especially as we get off the ground. I’ll be transparent with you. My hope is that once we are launched, we can really focus in on the stories of the entrepreneurs that Embarc Collective is supporting, and I can take a backseat role. But Embarc Collective is a start up in it of itself. So, I need to make sure. And it’s a new concept. It’s a new frame of reference for this broader community. So, it’s my job to be able to explain it, and get people excited and share with people how they can get engaged as we get going. But, if we’re successful, a year from now, we will be able to point to stories about founders and their teams and their successes. And that’s really what I’m driving towards. I tend to be a little bit more introverted than people probably think I am but it’s part of the job and if we’re gonna be really effective in launching this, and launching Embarc Collective to not only make an impact for the Tampa Bay community, but also make a name for itself nationally and internationally so that we can make Tampa Bay a prime destination for diverse startup talent. That’s part of the job; you got to tell people about it. If you really want to elevate the profile. Joe: So, you mentioned there being a new concept, can go into unpacking what the concept is, and lay it out as you know it now and then how malleable is that going forward? I know that you’ve put a survey out. Talk about what your vision is for it now and where you think it may change. Lakshmi: Absolutely. So, at the core of it, this is the V1 of Embarc Collective, is the physical hub. The goal of the hub is to serve in that place making role for Tampa Bay and its startup community. And how we’ll do that is by providing space for up-and-coming startups to be resident inside of the hub. But we also know that there’s a ton of resources and places for companies to base themselves. You don’t have to be at Embarc Collective to be able to leverage the resources. So, there’ll be different types of ways that startups can engage, but ultimately, we want to be a resource. And the team that I’m building is very much oriented to how do we serve the entrepreneur and their team. If we are doing that, then we are doing the right thing. So, there’s that aspect of coaching for the startups. There is the aspect of curriculum for the startups, and there’s aspect of space for the startups. In addition, there is going to be event space for the public and for partners to be able to host events. So, if you wanted to do a podcast in Tampa, come and do it in Embarc Collective, we hope that will be your Tampa home. We want to be able to create a stage that’s specifically focused on entrepreneurship, technology, innovation, and having those conversations. By creating that place, we’re doing a lot of different things. So, we are creating an understanding for the community on where to go to get plugged in. So, it’s no longer that yet to be asked to come to the table. You know where the table is and you can just pull up a chair and be there. That’s that need and what that does is it creates more of an inclusive community because you’re opening doors and you’re opening opportunities by doing that. Lakshmi: Another reason for the physical hub is, in a lot of ways, the breadth and the large footprint of our region is amazing because it provides a diversity of people, of environments, of things to do of opportunities. But it also can be a hindrance, especially when we’re trying to share what’s happening, all that’s happening in our community with people who are outsiders. If you’re new to the Tampa Bay area, the only way to really understand all the things that are going around is to drive around and see it all. But, what would happen if we created a microcosm of that entrepreneurial community that is active, that dense, that is vibrant, that’s full of energy so that somebody who’s considering Tampa Bay can actually come down and say, “Hey, there’s a lot happening here.” And I might be interviewing for one job with one startup, but if that doesn’t work out… and let’s be real, in the startup world, there is a high chance that that won’t work out. There are 20, 100, a thousand other startups that I can see with my own eyes because I’m looking at them at Embarc Collective, and I know that I have other opportunities. So, by creating a physical hub, what you’re doing is you’re creating that visual density of opportunity that can help us as we look to retain great talent in this area because they have really amazing and fulfilling jobs that they can take advantage of or attract great people to this area. That’s ultimately how we measure success at Embarc Collective – it’s how we are able to retain attract and develop great startup talent in the Tampa Bay area. Joe: It’s wonderful. That leads to a few questions. So, that visual density that you talked about in the modern world, there has to be pretty large online version of that as well. So, what’s your vision for the media plan or the way to communicate what’s happening at the end of your startup level and at the Embarc level? Will there be a media arm to Embarc Collective? Lakshmi: I wouldn’t be bold to call it a media arm. I know what we do well, and what we do well is curate community. Lakshmi: In that physical space, obviously, we need to have that digital complement. We’re active on social media; there’ll be newsletters once we have a beefed-up enough team where we can actually produce that great content. We’ll be putting out emails to let people know about the events that are happening. We also need to leverage all of the other channels that exist in this area who are much better suited to share the stories. What I really want is it not to be sharing the story of Embarc Collective, but to share the story of the collective, of the entrepreneurs and their teams that are building. We, as a community, and I would say that, St. Pete Catalyst is the exception to this rule. We need to do a better job of telling their story and sharing all of the great things that are being done. A good entrepreneur is heads down, they’re focused on their customer; they are working, they are building. And sometimes it’s an afterthought to be able to say, “Hey here’s what’s happening here.” But I will tell you when they stop doing that, is when they need to hire; when they need to build that brand awareness of what they’re doing, when talent comes into the picture, as well as customers coming into the picture. That’s when they want to elevate their story and they need to leverage an infrastructure that as a community we have different assets that we can use. Lakshmi: But we need to be united in being able to elevate the stories of the founder and their team. Joe: And you coming from the strategy world, that’s a really important function because these companies are doing great things, and if, that is only is from a brand standpoint from Tampa Bay is only as powerful as the people know that it’s happening, right? So that’s why I think it makes sense to really concentrate on telling their stories where they cannot, and usually they don’t know the finances very well or usually the HR stuff very well. And I think telling their story is one of the most overlooked things. Lakshmi: I mean, the good hire can amplify your business to the nth degree bad hire can destroy you. I think that you will by being able to share the story of exciting growing companies that are coming out of Tampa Bay, we are helping them to find the best talent possible for their business, whether it’s somebody is in this region already or if it’s about attracting somebody outside of this region. Lakshmi: One thing I didn’t mention on the services front for our company is that we will have an in-house recruiter that’s there to help our company scale at the core of it, the mission of Embarc Collective is to help make Tampa Bay a prime destination for a diverse startup talent. We really zeroed in on talent because startups are about the people. You can have the best idea, but if it’s poorly executed by people, it’s just a great idea and so you need the people to really turn it into a business. When I first got to Tampa Bay, I was trying to talk to anybody possible. I talked to nearly 500 people in my first six months here, and whenever I was sitting down with a founder, I was really trying to zero in on where their challenges are. Obviously, capital’s gonna be a challenge. But I would say that, capital will follow a good deal so it’s not necessarily as geographically confined as we may think. Talent on the other hand, is something that is truly a make-it-or-break for an organization and ensuring that we are doing our part to attract the best talent to Tampa Bay is something that we can do and we can address. And it’s feasible, and it’s measurable, it’s impactful for the startups that we’re trying to support. Joe: That brings me back to the need for that media element, but the lever on getting that talent down here, is there where they see what’s happening, and their eyes are going to be on you, so that will be an important part of it. Lakshmi: Tampa Bay is amazing and not enough people know that. And as we look at the startup talent, if they’re not in San Francisco and New York or maybe Boston, whether the other upcoming cities that they are looking at… Well, they’re looking at Austin, they’re looking at Denver, they’re looking at Nashville, or maybe research triangle, increasingly, Atlanta and Chicago. Tampa Bay is not honestly, it’s just not getting anywhere on the list and it’s not because it doesn’t deserve to be on the list. Lakshmi: It’s bad marketing. We’ve gotta share our story. So, we can leverage the asset of Embarc Collective to help put Tampa Bay on the map so then we can really work to attract the best talent to this area as well. Joe: I know Embarc’s a nonprofit, but can we go, just to understand it a little better how the revenue will breakdown. So, there’s, I’m assuming, programs. And, will those be part of an upgrade to co-working space or what are the different revenue streams that you envision as of now? Lakshmi: Yes. So, anybody who is a member – a startup member of Embarc Collective, and I joke about it being before the paywall behind the paywall in a physical space. What I mean by that is that, before the paywall there’ll be a food area, café, and a public programming space. Those are predominantly gonna be free events; some people can come and attend, learn, network, and be there as we work to make that essential landing zone for the startup community. And then behind the paywall, that is really focused in on just the startup community and specifically, the technology-enabled startups. That is our focus. We’re industry agnostic; we’ll have some programming through partnerships that focus in on industries that are of particular strengths to this area, but by and large we’re industry agnostic. Any startup that applies and it becomes a member of Embarc Collective will have access to any of the programming. So that’s the coaching; that is the recruiting services. We have a milestone program. I am a big believer in accountability; and so, we mechanized how do you create accountability for founders when I can tell you from experience that everything is a priority. But if you focus on the wrong priority, you will not move forward. And so, being able to help and create some linearity when oftentimes the tendency is to swirl. That’s available to all of the members. In addition, members can have physical space private office space. There’ll be some co-working but that’s not really… I’ve spent too much time building out spaces and working in these types of dense communities, and co-working is great for energy. It’s hard to actually get some work done and we believe in companies that need to get some work done so the majority of our space will be private space. Joe: When you talk about applying and being accepted, what are the criteria? Lakshmi: Let me see, we’re about six or so months from launch, and that’s on the very long to-do list is being able to share that out. But at a basic level, it’s really about, “Are you a company that has a value proposition that a customer will buy? Will they pay more money for it? Can we see how you will generate revenue?” We want more specificity, so we’ll be sharing everything out on embarccollective.com and welcome people to reach out and ask questions there. Joe: Wonderful. Obviously, you come up through great educational tracks; you’ve worked in corporations; you had really great exposure at 1871. Can you talk a little about when you look at a startup, and specifically, the founders in those startups, and we’ll gonna go both ways with this, what are some qualities that they must have and the other usual stuff – determination and focus, and hopefully integrity, and good ethics, and things like that? So, things that are maybe more unique to you that you look for in someone, and alternatively, do you have any uniquely red flags that you see in the startup founders? Lakshmi: So, a great founder in Chicago once said to a group and I was in the room, “I’m not in love with the solution, I’m just in love with the problem that I’m solving.” And that, to me, is the signal of somebody who has the right passion and drive, and the right iterative mentality knowing that the solution that they’re building is always the prior version. They always need to be thinking about what’s next and how do they progress their solution, but they have to always be passionate about, “Am I solving the problem that I set out to do?” And so, from a mindset, that’s really what I’m looking for. I’m also looking for somebody who can take feedback. Feedback is an important mechanism, and we want to really embed that into the culture of Embarc Collective. Feedback is not a criticism. Feedback is given because we want to progress your business. We are aligned with you. We want to see that forward direction, and that’s why we get feedback. So, founders who can take feedback and understand that not all feedback is created equal. Lakshmi: So, you’ve got to be able to understand know what feedback is the most meaningful to you. But good feedback can change the trajectory of your business for the better. And between that iterative mentality of my solution is always improving, and the ability to take feedback from people, those are the mental pieces I’m looking for. On the other side of it, it was more of the practical side, it has to be a business. There are some fundamentals of a business and you gotta be able to show me what is the way that you would monetize this solution, and if you can’t do that, it’s not a business, it’s a hobby. And I have nothing against hobbies, but we want to make sure that we are really building growing businesses not only for the Tampa Bay area, but for the world. We have to have a global perspective from the get-go if you’re building a tech startup. Joe: This is sort of a weird observation I’ve had and I would call it, maybe a red flag and wonder if you have… I see a lot of times in the startups that we pedegredize founders who love being in a startup. And they love the process of the raise; they love the process of the passion of telling their story, and then they sort of hit a wall with actually having a company, right? And then, they tend to move on to another startup; it’s really like lifetime startup folks, at least. Maybe not lifetime but for a good 10 or so years, have you noticed that? Lakshmi: I do know people who are like that. And I would say that it’s okay as long as they know when to transition; as long as they can build the product up to a place where they can hand it off. The baton handoff is well executed, then maybe that’s the role. Maybe they are the ideation to initial build CEO, and that’s when they hit that wall and they step away and they turn it over to somebody else who really can scale the business. You see that a lot when startups are scaling at a monumental rate, usually through a capital infusion. You will see you CEOs who sort of are… like they’ve done what they can, but it may be better for somebody else who has more experience in the scaling to take over. It’s not a criticism; it’s really about maximizing the strengths at the time in the businesses’ lifecycle when you really can take advantage of it. Joe: Speaking of transition, one thing that’s unique about your position is that you will have purview into lots of startups, and when you reflect internally, obviously, you’re gonna be happy in this current role for who knows how many years, but do you assume that someday a startup will come across your desk you may go with it? And do you see, if I were to say, fast forward for 10 years, do you see yourself at the helm or in the leadership, or as a founder role of one startups that comes through your infrastructure? Lakshmi: Anything can happen and if you asked me a year ago, “Would you be Floridian?” I would’ve said no. I’ve no plans to move from the Midwest, but look, I’m here now at Tampa Bay. I know from my perspective that things that really are important to me are to be able to make positive impact on the community and to build. As long as I have those pieces and those dimensions in whatever I’m doing in 10 years, then I’m gonna be happy. How that manifests? I have no idea. Joe: But it’s an ongoing temptation like, “Oh, I could be…” I’m speaking a little but personal. A lot of these things, you just see with the right help, they could be something great but you have to sometimes let them go. Lakshmi: Yeah. I mean, that’s the benefit of my job, is that I get to meaningfully engage with so many different startups so that really satiates a lot of that for me is that you get to chime in and give feedback, and give feedback because at the end of day, you want these companies to grow. Joe: I’d like to hear a little bit about your leadership philosophy. You’ve transitioned into the CEO role now, so you are responsible for the culture of the organization. I know that a lot of your leadership philosophy comes from your father. So how would you best articulate that? Lakshmi: In terms of leadership, and keep in mind that I’ve been the CEO for six months. I listened to a lot of leadership podcasts and read a lot of leadership books and all that sort of stuff, and it’s interesting to me because it’s almost like you have to give this guidance in one point of time and I’m this evolving entity. So, I will say today, this is my leadership philosophy and I have every right to change it and grow as time goes on. But I think from my perspective, leadership is about knowing when to listen and knowing when to make decisions. Lakshmi: And since sometimes the decisions aren’t always easy, but you’ve got to be able to provide that for the organization. The other thing about leadership is that, you’ve gotta create an organization that has the structure to empower your employees to be able to make decisions that are aligned with what you would’ve decided. I spent a lot of time developing the brand and the brand strategy and the organizational values so that things wouldn’t have to always go through me – that I didn’t always have to be the bottleneck on making decisions and that everyone that is part of Embarc Collective knows what our North Star is and knows how we operate so that they can make decisions that are aligned with whatever they would’ve asked me anyway. But that requires established values; that requires a mission; that requires a persona of your brand of how do we operate. We have all of that in place and we are really thoughtful about so that as our organization scales, we can do so in a way that’s aligned with the ultimate vision for our impact. Joe: I really enjoyed the conversation. I guess, how can we learn more? Where do we go to keep up with everything you’re doing? Lakshmi: We are online at embarccollective.com. So, it’s Embarc with a C. E-M-B-A-R-C Collective dot com. Also, we’re on social media; we’re on Twitter, Instagram, and Facebook. We’re trying to build an online community, and we are trying to create a culture of content creators in the Tampa Bay area so engage with us. Until we have a physical presence in early 2019 those are the best ways to connect with us. Joe: Cool. And we like to end the show with a shout out. So, it doesn’t have to be one person because I know you’ve got a lot of people and you’re new to the area. I’m sure there’s a whole swath of people that have been wonderful. If you pick one, any random reason, that’d be great. But who would you like to give some attention to? Lakshmi: There’s a great startup in this area called, “Hire Humanly”. I think they were recently profiled in the news, but they are using AI to help streamline the HR talent intake process through a chatbot will, and I really am excited about this team because their vision is big. This is a very disciplined team so they are very forward-moving. All the things I talked about with accountability, they are very aligned there. As I think about what are the companies that could make it big so that Tampa Bay benefits from being associated with them, I’m excited and bullish on Hire Humanly. I really want them to be successful. Joe: Wonderful. Thank you for your time.